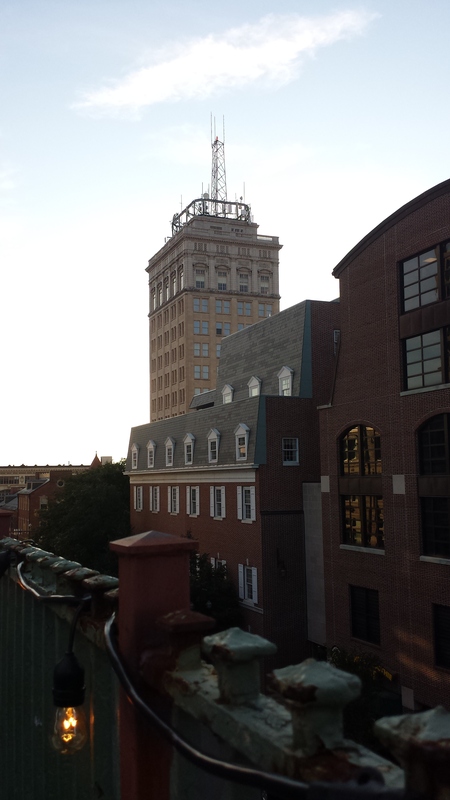 A view of downtown Lancaster from the rooftop bar at Tellus 360. After relocating back to my native NEPA last September, I’ve basically been plotting my return to Lancaster. I had several botched attempts, but just one week ago finally made it back. I was super psyched, and even started putting together this post a week before I was set to go, finding links of the new places I wanted to explore, and old locales I was pumped to revisit. I tentatively titled the post, “A Grand Return to Lancaster,” but now that my visit has came and passed, I think it’s only right that sub out “Grand” for “Boozy,” because that’s exactly what it was. The main purpose of my visit was to see a Gaslight Anthem concert at The Chameleon Club, two blocks from my former apartment. As luck would have it, my cousin is currently working out of a hotel in Lancaster, so I’d have a free place to crash. I had grand plans of going down early Wednesday morning in time to grab breakfast, walk around the city and explore the shops I didn’t give enough time to when I lived there, and possibly spend the afternoon hiking in some of my favorite spots, before meeting my cousin and friend who I was attending the show with once they got done with work and then hitting some new breweries before the show. Only the bars and breweries happened. I ended up being pretty sick last week, and so ended up letting myself sleep in till around 9. I figured if I left by 10, I could get there by noon, grab lunch, hike, and then enjoy the rest of the night. I forgot what a hellhole 81 is though. The normally 2.5 hour trip took almost four, with heavy bouts of construction. I didn’t roll into Lancaster city until about 2:30. By this point I was starving near the point of road rage (which has been a consistent theme lately: I need to start working on having snacks in the car at all times). 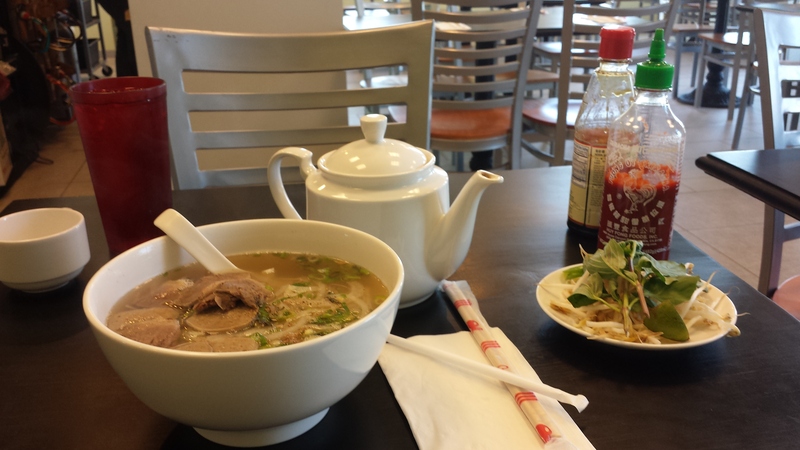 I’d already decided that I’d be lunching at the Noodle King, an awesome Vietnamese restaurant I used to live above, and which just opened a new location off Oregon Pike. I had the meatball pho (p3 on the menu if you’re ever there) doused in siracha, which is really nothing to write home about, only because when I lived above the Noodle King, I had this about once a week. It was delicious as always. By this time I only had about an hour until my cousin returned from work, so parked downtown and walked around a bit. You know how when you visit somewhere you spent alot of time after a considerable absence, things feel the same, yet someone changed? Lancaster didn’t feel changed at all. It felt like I’d never left. The weird thing about this is that there were several pretty big changes (none of which I was able to document on camera because I left my phone to charge in the car and am, as you realize if you’ve read my blog before, awful at taking photos). A brand new bridge connects Lititiz Pike and Duke street, revitalizations that were being done around the railway station were finally finished (this had been under construction the entire five years I lived in Lancaster), and a brand new luxury condo complex no resides on the 200 block of Duke Street, where I called home for 2 years. You know what else changed about Lancaster? There are quite a few new drinking options. In fact, I think it might be in the best interests of my liver and bank account that I no longer live there. After my solo stroll, I popped over to the Lancaster Arts Hotel where I’d be staying with my cousin for the night. It’s definitely one of the nicer hotels I’ve ever stayed at. Very trendy. Very bougie. 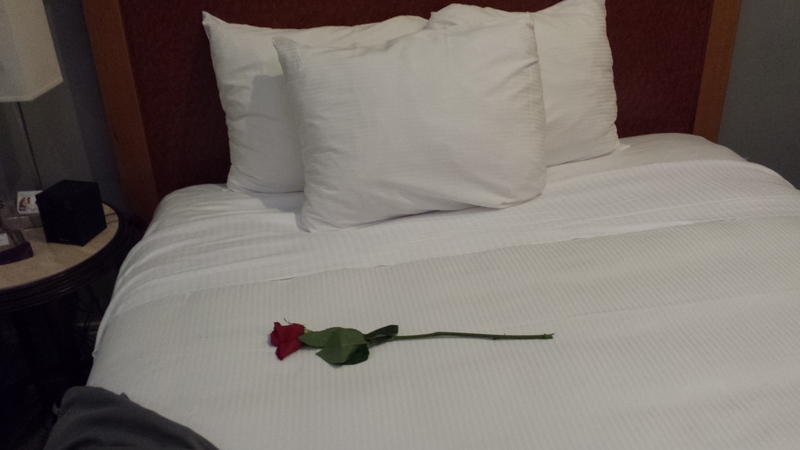 There was even a rose laid out on the bed I’d be using (which you think my cousin would’ve removed…). 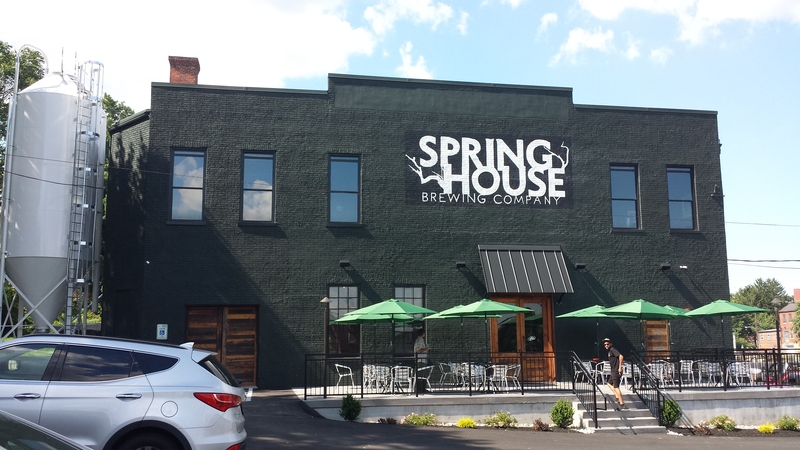 Our first stop was the brand new Spring House Brewing Company brewery, located within walking distance of its original King Street taproom (not that I’d walk there at night-it is located in one of the city’s sketchier neighborhoods). 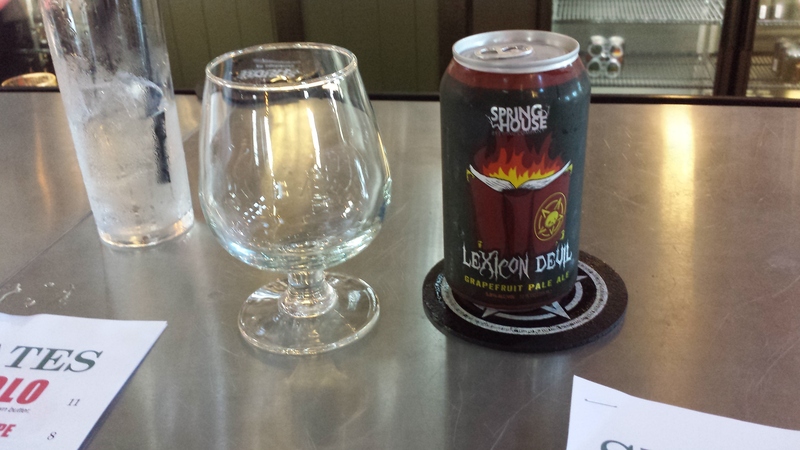 Springhouse Taproom has always been one of my favorite places to go in Lancaster, usually to start the night or for some day drinking. I like that they have a shuffleboard. I like that they have hotdogs on the menu, and I’m a big fan of their beer, particularly their Big Gruesome Chocolate Peanut Butter Stout and their Braiins Pumpkin Ale (which I still maintain is the best pumpkin beer I’ve had). 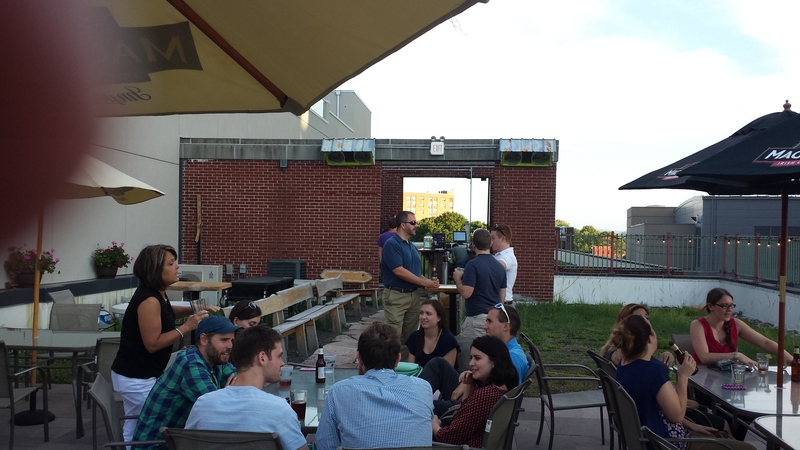 It was recently announced that they’d be moving their brewing facilities into a much larger property in Lancaster City, increasing their production, and opening a brewpub, all while still keeping the downtown taproom open. The building looks awesome from the outside and it would’ve been a great place to kick it outdoors, however it was so ungodly hot we decided to sit at the bar. 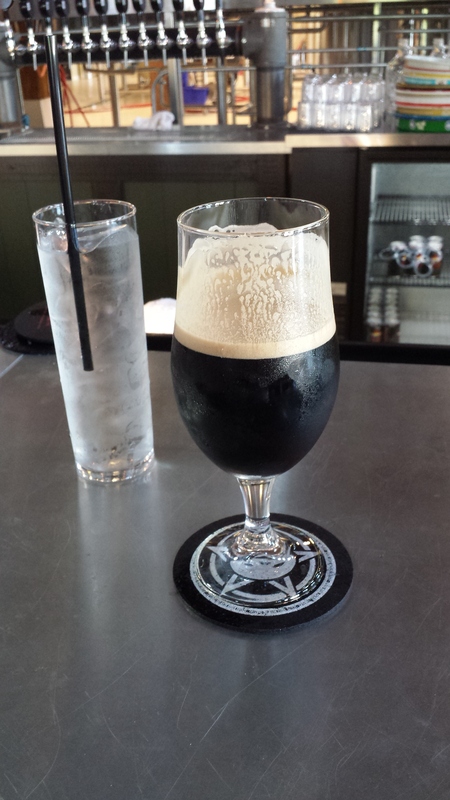 I was reunited with my beloved Big Gruesome (which was deliciously on Nitro) and also sampled their Lexicon Devil, a grapefruit pale ale that comes in a can, which was really good as well (I just discovered about a month ago that I’m really into grapefruit beer at the moment). I wish I enjoyed the food as much as the drinks. I made the mistake of ordering the buffalo wings, which were smoked. I should’ve known I wasn’t going to like them. I never like smoked wings. I never like dry rubbed wings. I never like wings when they have some sort of fancy, “innovative sauce.” I’m a wing purist. I like them hot, crispy, and red. That being said, we had a good pretzel and a few of the other appetizers did look promising. Reunited with this beautiful chocolate peanut butter stout. Obviously I couldn’t wait and was forced to down half of it before taking a photo. Grapefruit beer is officially my new jam, which is weird because I hate grapefruits. We left Springhouse and hightailed over to Tellus 360, one of Lancaster’s most unique establishments, which I’ve written about before. Tellus had opened an Irish pub the last year I was living in Lancaster, and had just opened a rooftop bar the summer before I left. I was able to enjoy it once, but happy to go again. We grabbed a pint of Guinness downstairs (just missing the $4.00 for a pint happy hour I’m glad I didn’t know existed before) and finished it up on the roof. I was happy to see that it was really busy for a Wednesday and that they’re starting to do more roof-centric events (like an upcoming silent disco). A packed roof with a cameo by my thumb. 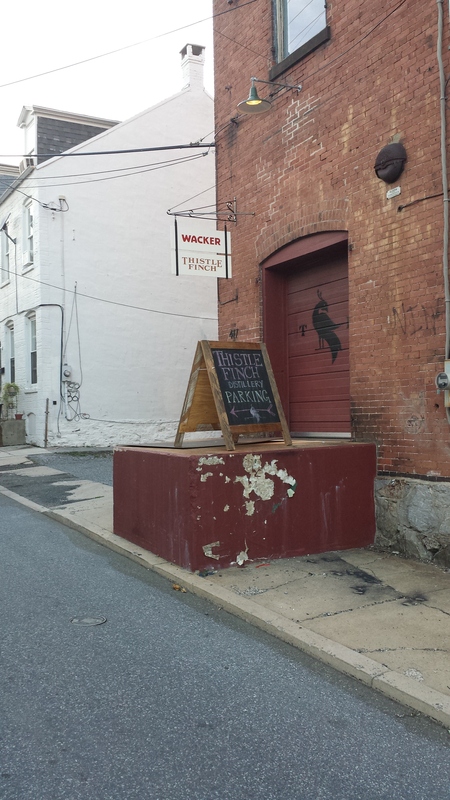 Our last stop before heading to the concert was to the Walter Schnader Tobacco Warehouse which houses the joint tasting room (but separate bars) for the Wacker Brewing Company and Thistle Finch Distillery, the only place in Pennsylvania you could go and taste local beer and liquor in the same place. Thistle Finch produces a white rye whiskey, gin, and vodka, and I stayed far away from their products. They do offer tours on Saturdays that go over their distilling process, as well as the history of the building, which I would like to attend at some point. I liked the look inside this place. Lancaster’s newest brewery has a really interesting story. Initially founded in 1853, the brewery was at one point the oldest and longest running brewery in the county (even running during prohibition) until it was shut down in 1956. The new owners decided to revitalize it and focus on German style beers, which is sort of a nice change from the IPA/gimmicky oversaturation that is a lot of the craft beer market. I had the English Pale Ale and a Hefeweizen, and both were really good. I really liked the atmosphere there. 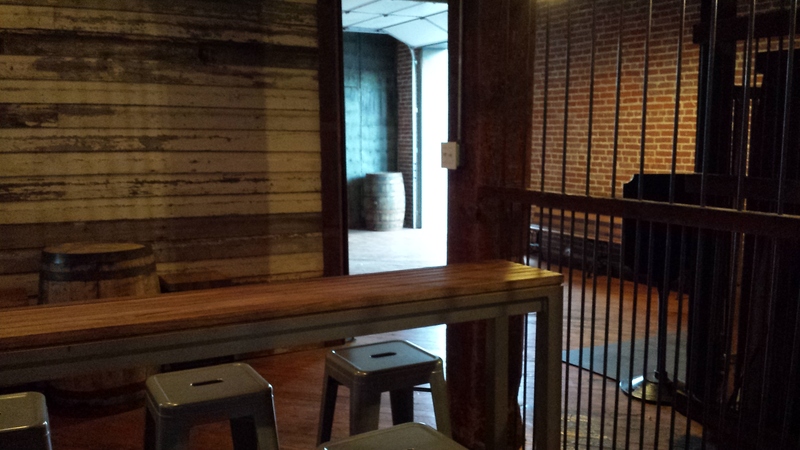 The entire room was wood paneled and exposed brick, with high counter top like tables to sit at. 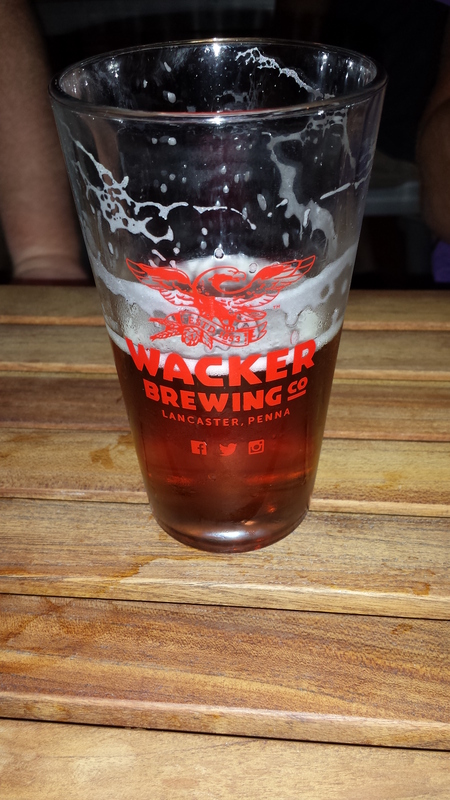 I could see myself frequenting the tasting room if I still lived down in Lancaster. Once again drinking, then snapping. We weren’t necessarily planning on going out after the show, yet somehow ended up at Brendees Pub. There’s nothing remotely new about Brendees. In fact, there’s a good chance that some of the patrons sitting at the bar have been there since I lived in Lancaster, only shuffling out briefly during the day to attend that pesky little thing called work.